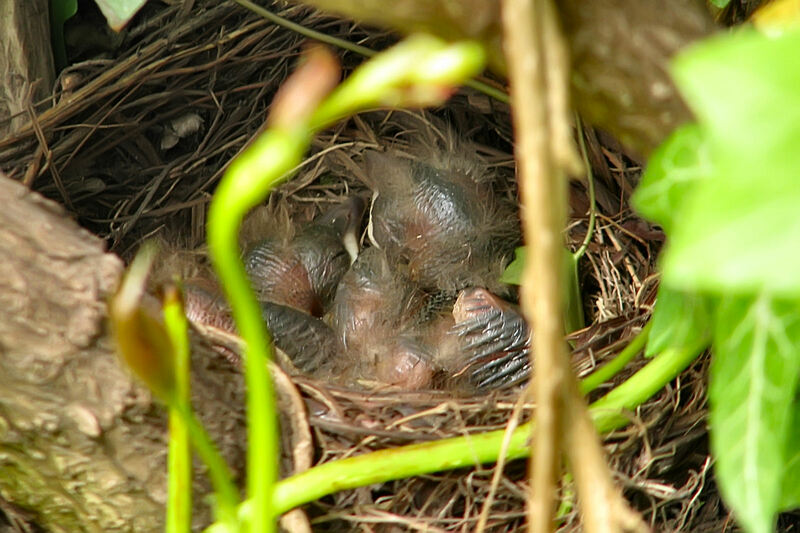 The saga continues… here’s a closeup of the nest, carefully taken from the ground. It’s getting crowded in there! With the binoculars, I spotted three little heads popping up earlier – I haven’t been able to catch them with the camera yet, but if you look closely you can definitively see the trio cuddling in the nest here.